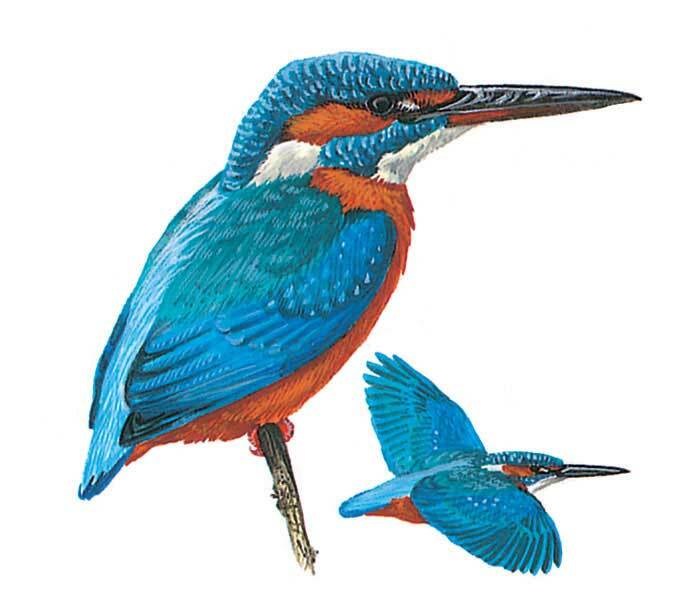 Small kingfisher with brilliant blue and green upperparts, reddish underparts, but buffish white throat and neck patch and long, dark bill, though female has red on most of lower mandible. In flight, which is swift, direct and low over water, luminous back and tail obvious. Fairly shy, often inconspicuous when perched, sitting on branch over water for long periods before diving for fish; will also hover.